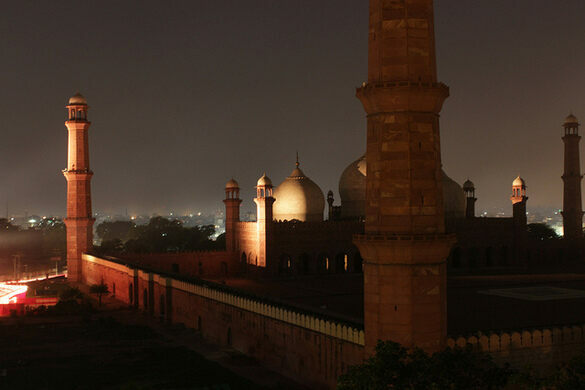 For 313 years, the Badshahi Mosque was the largest in the world. With capacity for 100,000 worshippers on its grounds, it dwarfed the Taj Mahal, a structure that could fit inside the massive courtyard. 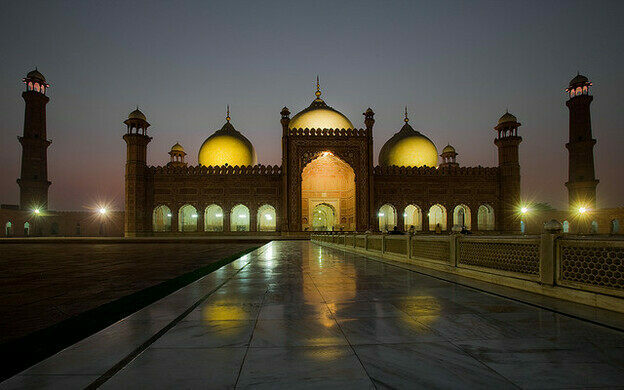 Although the mosque seems like a tremendous religious structure, its history has almost seen more use as a military base. 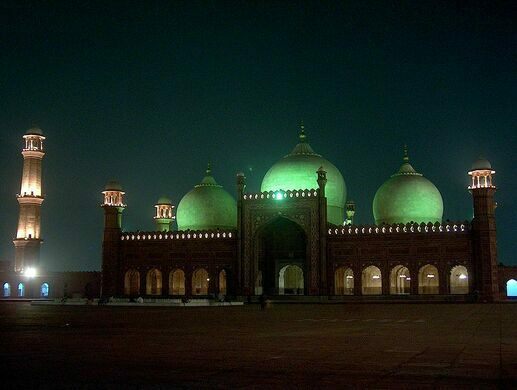 For the first 70 years after its construction in 1673, the mosque was known simply for its great size, and was visible from almost 10 miles away. 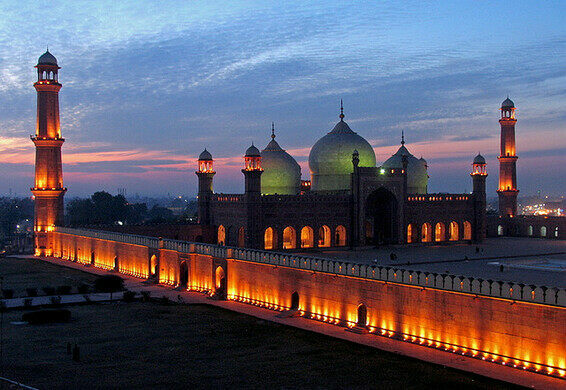 The crown jewel of Lahore, the Badshahi Mosque was a symbol of power in the Mughal Empire. Cursed by its size and location, when the region was cast into civil war and overtaken by Sikhs, the mosque began a new history of exploitation for military purposes. 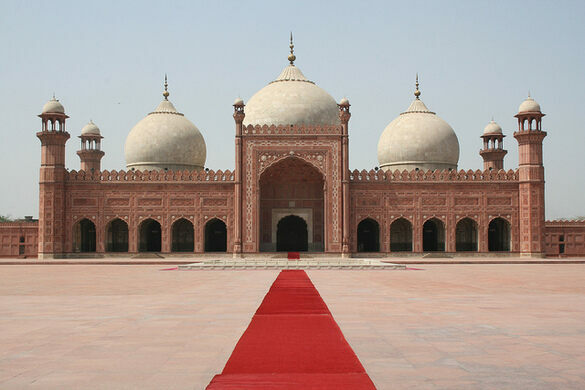 At the turn of the century, Sikhs were in control of Lahore, and began using the mosque as a stable for horses and other military units. 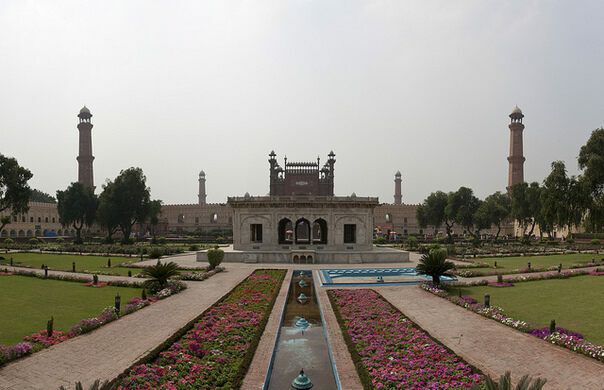 50 years later during the Sikh Civil War, guns were mounted on the 170 foot high minarets to bombard a group that had taken refuge in the nearby Lahore Fort. 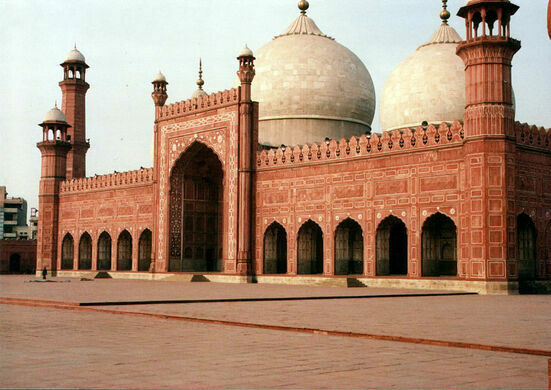 Throughout British rule, the mosque continued to be used for military storage, and was in a bad state of preservation. 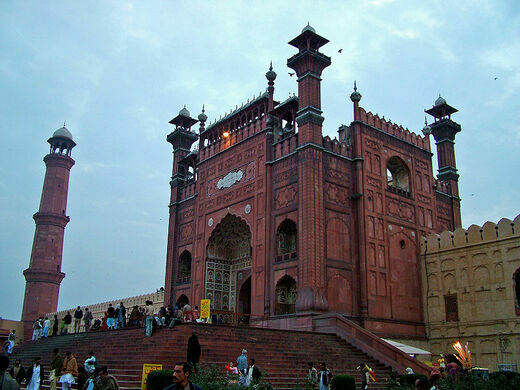 After 1947, when Pakistan became an independent Muslim state, the mosque was returned to its original purpose, and extensive repairs were undertaken. 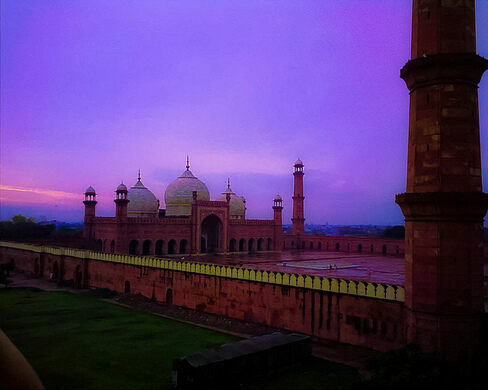 Repairs have happened continuously through 2008, and the Badshahi Mosque is now almost restored to its original 17th century condition.